The 110-WS-25 Modular Weather Stations are meteorological systems designed to be a "user friendly" solution for data storage and real-time monitoring of weather conditions. 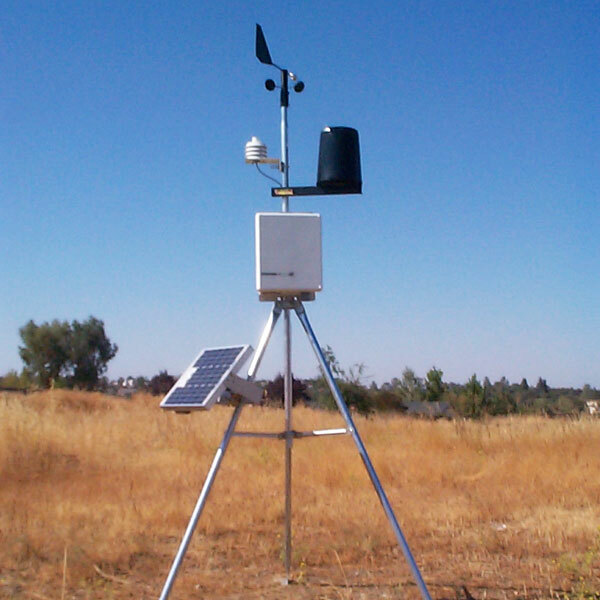 The standard sensor package includes 6 weather parameters: wind speed and direction, temperature and relative humidity, barometric pressure, and precipitation, (additional optional sensors can be added), a 5-foot tripod and vertical mast for sensor mounting, and a data logger with LCD display. 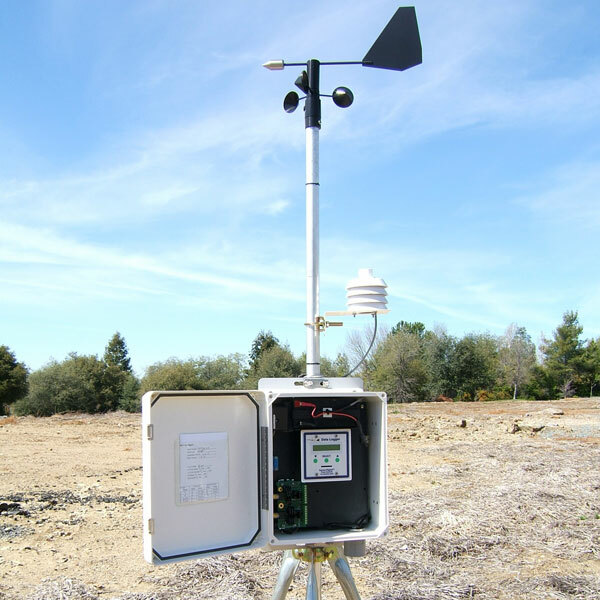 The 110-WS-25 Modular Weather Stations are meteorological systems designed to be a "user friendly" solution for data storage and real-time monitoring of weather conditions. The standard sensor package includes 6 weather parameters: Wind Speed and Direction, Temperature and Relative Humidity, Barometric Pressure, and Precipitation, (additional optional sensors can be added), a 5-foot Tripod and Vertical Mast for sensor mounting, and a Data Logger with LCD Display. No computer is required for setup and viewing data. A simple menu interface using the LCD display and three front panel buttons makes setup easy. Data is recorded directly to a Secure Digital (SD™) card, providing convenient data downloads and storage for many months of data. 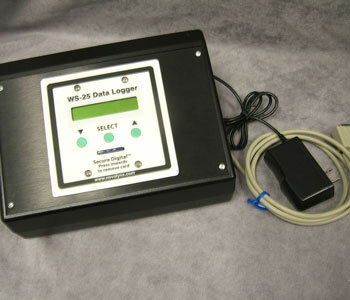 The data logger is compatible with standard SD cards up to 2GB. Logging at 1 minute intervals, a 2GB card will store over 5 years of data. A new file is created and saved to the card each day. 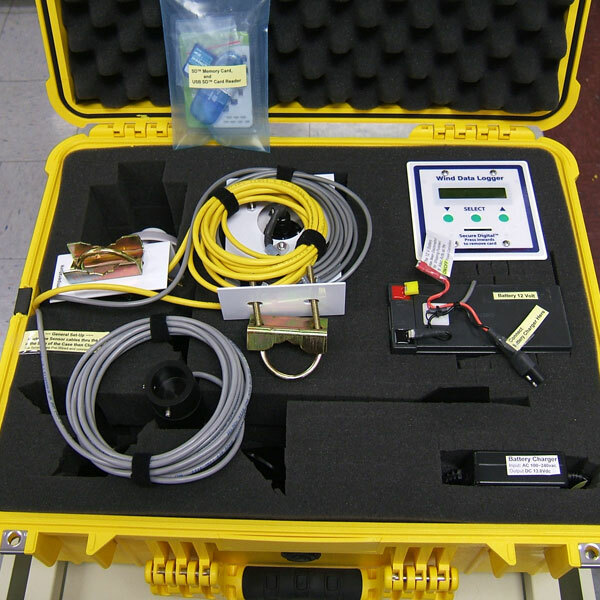 Using the recorded data is simple. The SD card is inserted into a card reader attached to the USB port on your computer (Windows, Macintosh, and Linux) and will then show up as a drive. To view and graph the data, click on the file corresponding to the day of interest. Microsoft Excel, OpenOffice.org, or any spreadsheet program can be used to view, graph, and analyze your data.